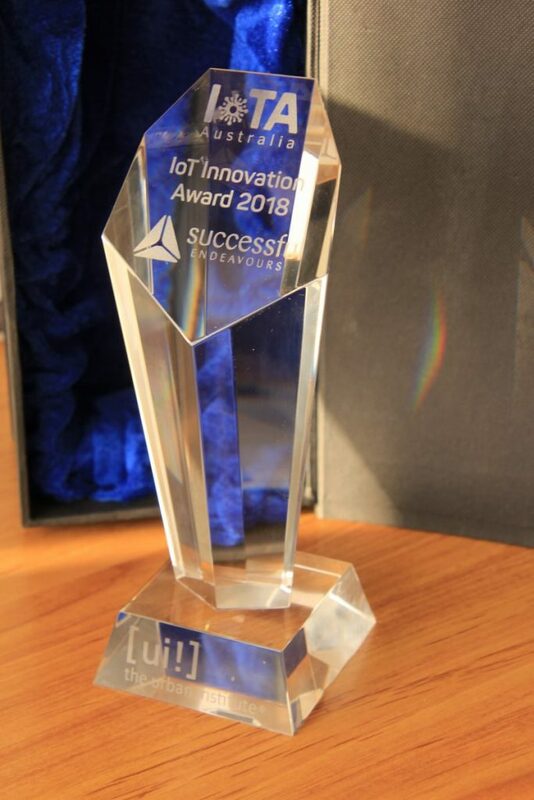 And we are very pleased to announce we won the IoT Innovation award 2018. 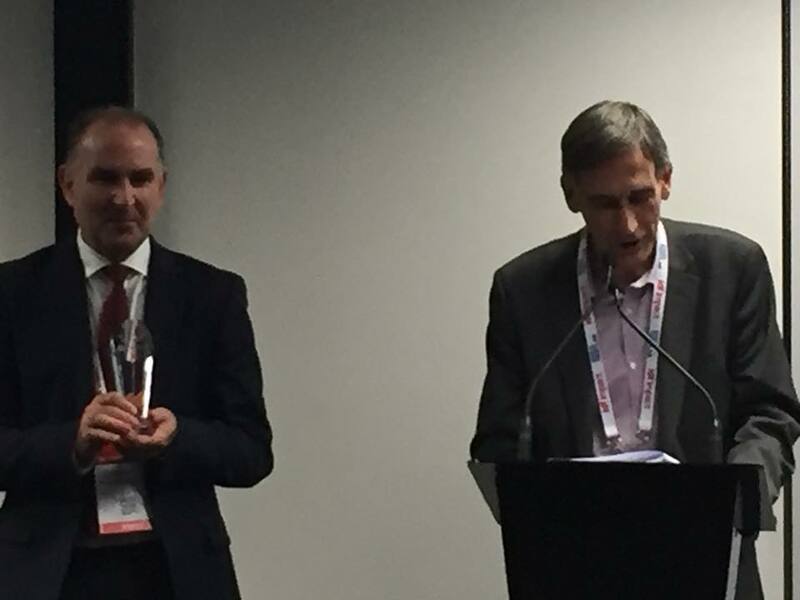 This was a great celebration of IoT and we are also pleased for the other category winners. 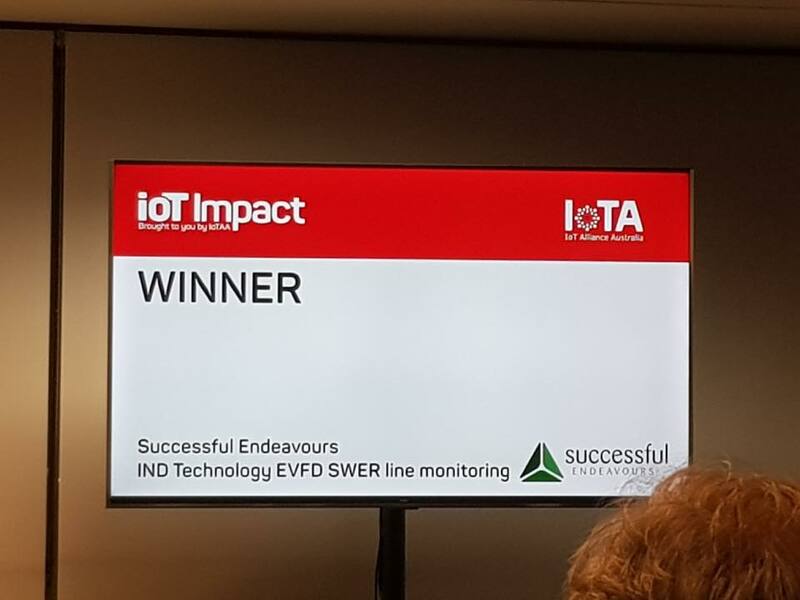 The awards was given for the IND Technology EVFD system that detects faults and problems in SWER electrical distribution systems to help prevent bush fires. Some more pictures from the night. 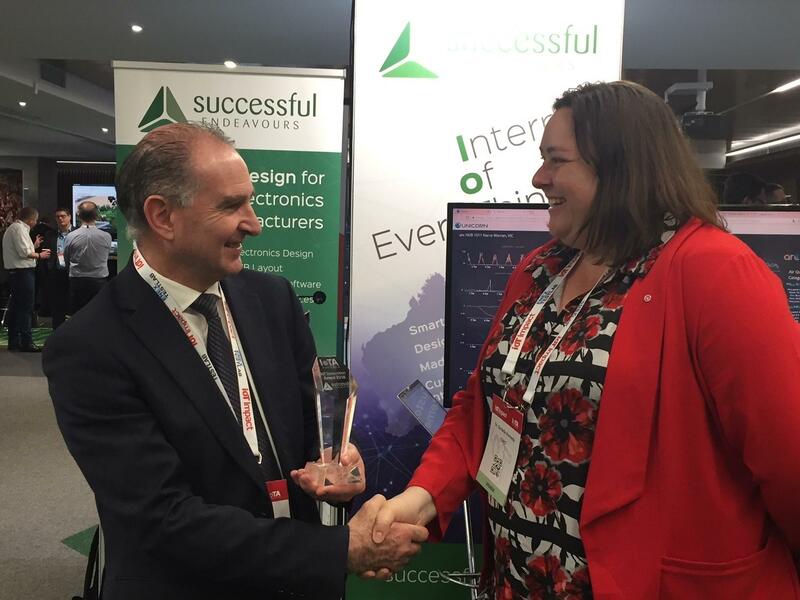 Successful Endeavours specialise in Electronics Design and Embedded Software Development, focusing on products that are intended to be Made In Australia. Ray Keefe has developed market leading electronics products in Australia for more than 30 years. This post is Copyright © 2018 Successful Endeavours Pty Ltd. 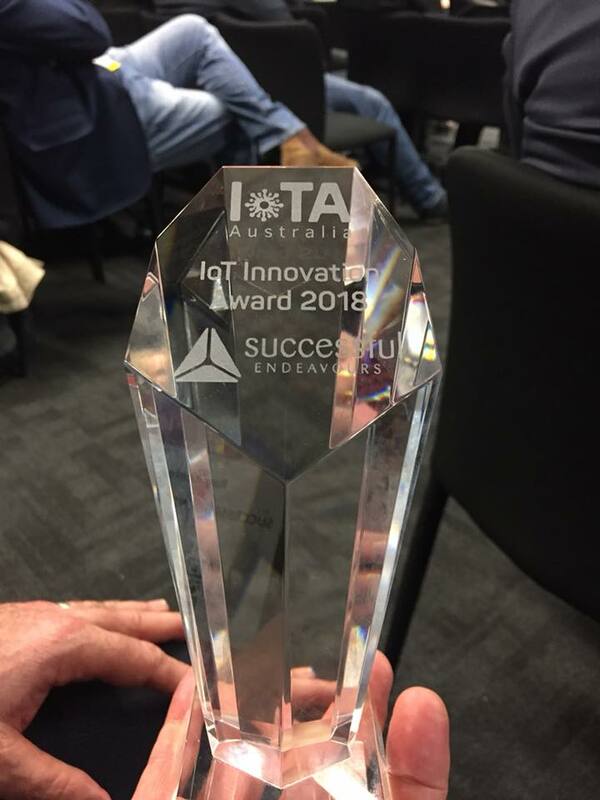 This entry was posted in Electronics Awards, Internet of Things, News, Technology and tagged IND Technology - EVFD, IoT Impact, IoT Impact Awards, IoT Innovation award 2018, IoTAA by Ray Keefe. Bookmark the permalink.